299 Minted. 999 Silver. 2 oz. 1st in series. Next up, Lunar Monkey. Design is being worked on presently. Enjoy. Peter Anthony recently mentioned this medal in pricepedia. 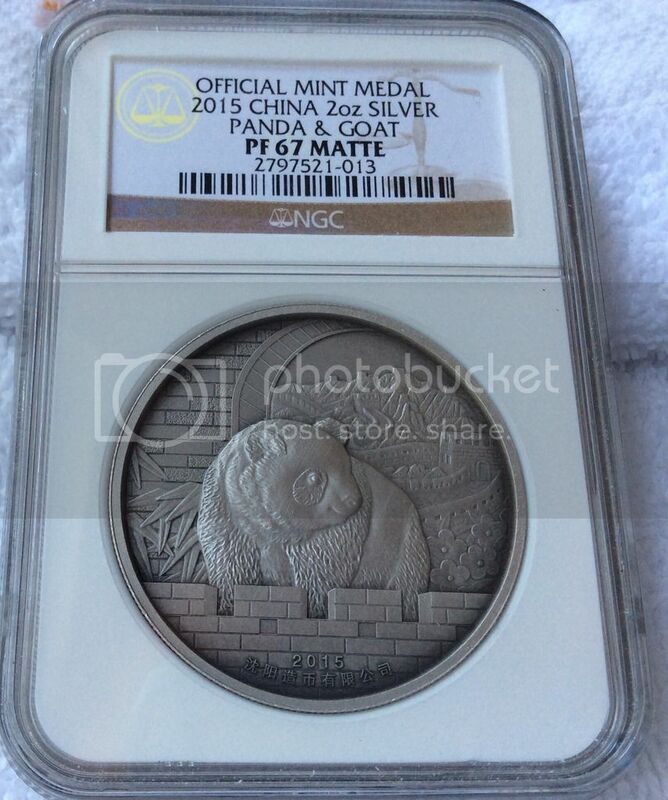 I guess technically this is the first medal with 'Lunar Panda.' And man, oh, man, what a nice medal it is. 88 HK Medal. We are eagerly awaiiting the 2nd in the new series called, Lunar Panda Series (Monkey), coming in the next few months. 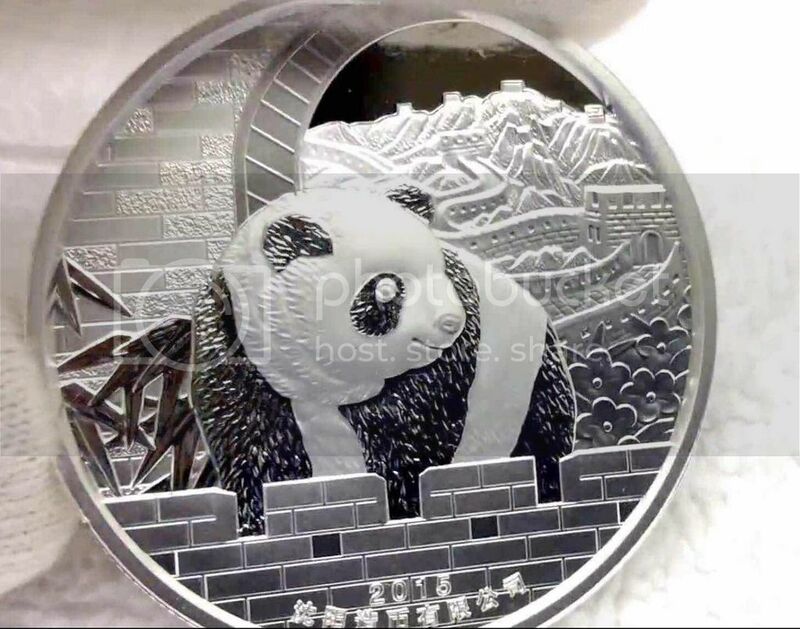 Rumor is, there should also be an Antique Silver version (99) and Gold (10) Can't wait until 2024 when the Dragon Panda is released. Is there a way to tell which medals are commissioned by official government entries due to sufficient events/reasons from another Joe Blow down the street with money and connection to the mints? I'm curious to know the answer too. Thanks Panda/Lunar. Also, as you well know, I think there are a lot of medals, nice ones like the classial garden series, that's commissioned by private investors. Is it less inferior than 'official enteries?' Before anyone lambastes me, that is a sincere question. 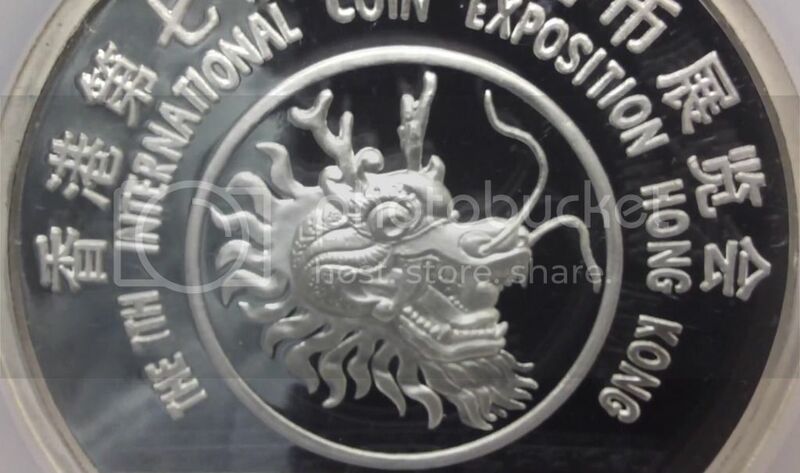 It has more to do with who the designer and engraver is than who initiates the program or where it is minted. 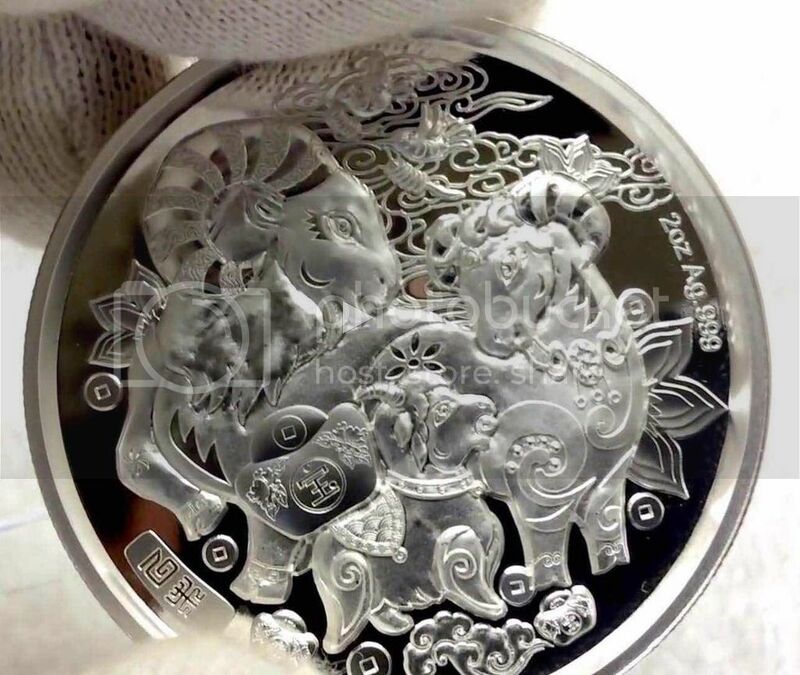 Quite a few retired Shanghai Mint and Shenyang Mint artists have been working for private mints, like Chen Jian who designed the Year of the Child series and many pandas, and Song Wenyuan who designed the first lunar Rooster and the award-winning Marco Polo coins. Do their works (medals) lose appeal because they are not minted by official mints? 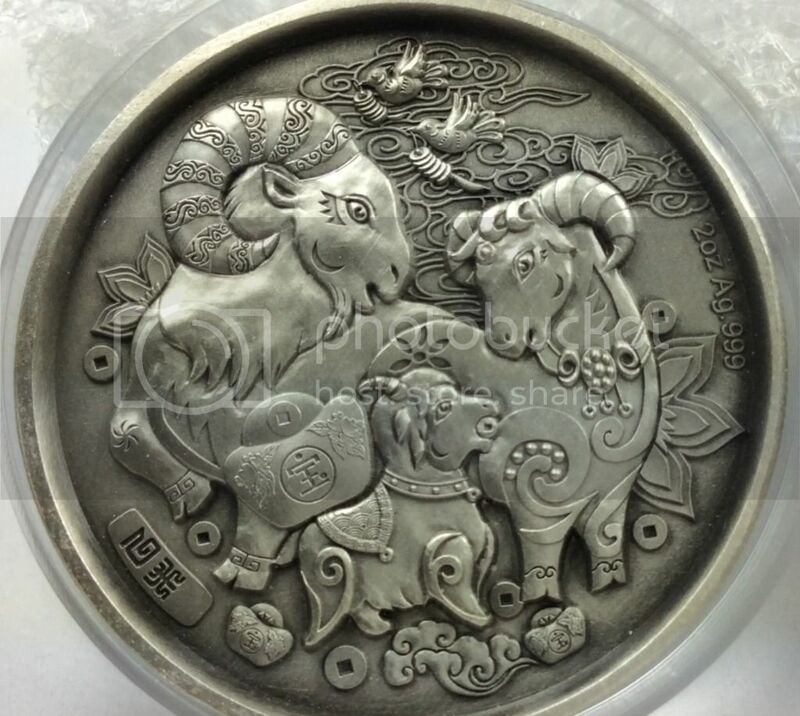 The designers and engravers of the Classical Garden series are all top artists from Shanghai Mint and the China Bank Note Printing and Coin Making Co. That ensures the quality and artistic value. With medals, as with other artwork, the artist is more important than the venue or the sponsor/commissioner. Who remembers the commissioner of Mozart's Requiem? Who is Mozart? hehehe. Frank, this makes perfect sense. And it is a quote I will print out and put on my desk as a reminder of why I buy certain medals. IMHO - and that's humble opinion, those words you share are gems, and a good reminder for all of us interested in medals/coins. Thanks much. 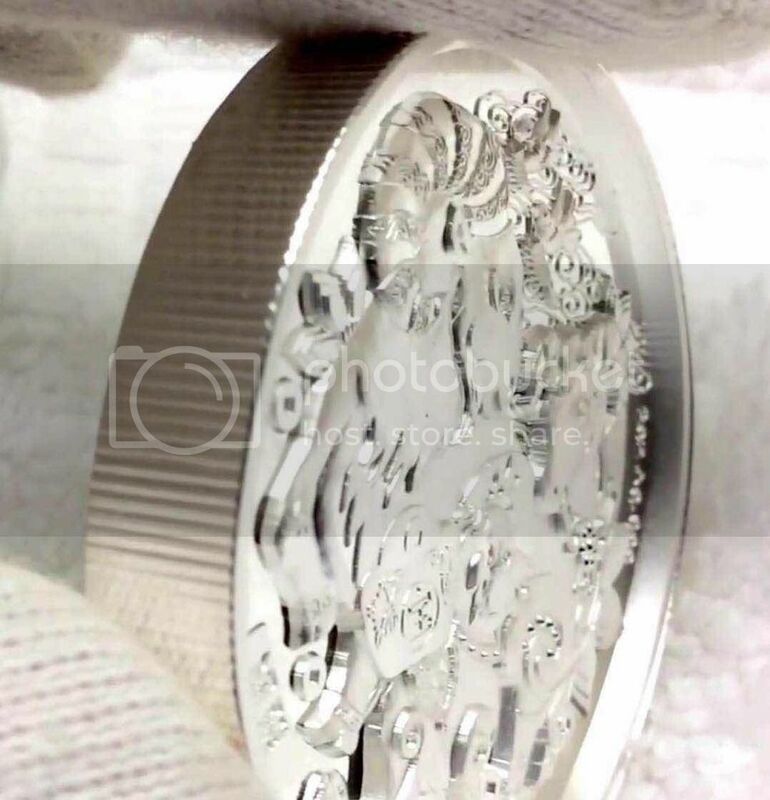 It has more to do with who the designer and engraver is than who initiates the program or where it is minted. 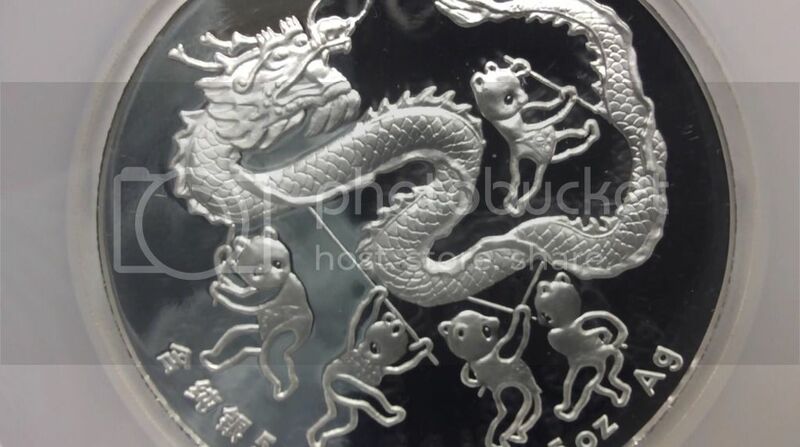 Quite a few retired Shanghai Mint and Shenyang Mint artists have been working for private mints, like Chen Jian who designed the Year of the Child series and many pandas, and Song Wenyuan who designed the first lunar Rooster and the award-winning Marco Polo coins. Is there a historical guide to the artists who contributed to the works of the Chinese mints? Large copper medals from these mints have pretty complete records of their artists. Artists for the well-known coin-size medals are also easy to track down. But the information for artists who designed and engraved the precious metal coins is scattered here and there. Most catalogs do not list the artists, only the mint. But the information for artists who designed and engraved the precious metal coins is scattered here and there. Most catalogs do not list the artists, only the mint. It really depends on how you treat MCC. If they are treated as numismatic items (though never in circulation), who design and engrave them is not that important. Currency/money is not really collected for their artistic value. If you see them as artwork, yes, it would be a basic requirement to know who worked on that piece of art. Don't you mean "If the yuan..."? Or do you have a newer crystal ball than I do? Mine is telling me the crisis in Europe isn't fixed and initially the USD rises. Interesting...can you please elaborate? What is your own crisis ball view? I mean is your own? My crystal ball doesn't exist of course. I have read some analysis that the Euro is truly doomed. The time line may be over the next few years. The Euro may lose all or most of its value. There has already been an episode of this approx July 2014 to February 2015. The Euro lost 30% of its value. 15% was lost January and February 2015. The Swiss also lost their peg and the Dutch seem to be having some challenges defending their peg. Now that Cameron has been reelected in the UK he will review the UK's membership in the EU. None of this is very positive. So my esteemed colleague thinks the yuan will rise. But that's not what happened July 2014-February 2015 and the US dollar was on a tear. Looks like Euro weakness creates dollar strength to me. The yuan will have its day after the last USD blowout top. For example Martin Armstrong, an analyst, projected US weakness in 2017-18. Maybe the yuan will start to appreciate 2018? My opinion .until the markets feel that the yuan is not pegged and manipulated by China it will have issues ,of course the USD can be said to be be manipulated but it is the most transparent universally recognized benchmark in the world today , as everyone knows after the libor interest rate fiasco it looks as if all financial markets are subject to manipulation.... that being said USD is a long ways away from being replaced by another currency. The euro most probably was some form of candidate or hope for dollar haters:) but IMHO has a very reasonable chance of being dismantled. RMB has a longgggggggggggggggg way to go to ever be even as universally accepted as widely as the Euro. Rise to power ???? that is a ways away. China,s smartest people or at least its wealthiest seem to do everything in there power to minimize the real risk and fear of their holding of RMB. I have tried to keep away from this crazy talk as much as I can and I will continue to keep away. Just one or two comments. It's just like the Y2k crash in computers and everything computer associated including airlines that never happened but the hype leading up to it was overwhelmingly loud. Then everyone shut up. All the noisemakers slunk away; now everyone pretends it never happened. The world was supposed to have ended last year too! Most sadly of it all is this situation that has been generating so much noise and the usual prophesies of doom of this system and triumphancy of that other system. Rather than being happy that China has continued to evolve economically, becoming self sufficient in various ways, able to control her population and maintain peace and order, the usual suspects are just gloating away at a situation that does not require such intemperate behavior. It is great that China has floated another world-type of bank. Now it can share more proportionately in the task of protecting the world economically and helping countries grow by borrowing money from their new bank. That is a positive development which at least can spare America some of the burden of carrying and caring for poorly functioning economies around the world. To jump from this and suddenly becoming a world economic powerhouse as posited by some of our forum friends?! This can only be shown in a retrospective manner. If all that is predicted by the group happens we shall see that in future. I have not even seen anything constructive the proponents of this transition are doing except the noise. How are they positioning their portfolio. What have they bought in anticipation? In the final analysis China has prospered because of a combination of innate positive attributes and flow of capital from the West in payment for translocated industrial products. We are currently pouring millions into China for MCC. I am someone who believes in good for all. I am happy with China's burgeoning prosperity. It is a good thing. If the Middle East was doing the same thing we would not be having all the strife we have there now. But that is a different story. Let's control these primal urges of trying to be or determine who is the alpha male! Thanks to JCmultipleeights for your contribution. To clarify, Martin Armstrong said he forecasts the USD to rally to 2017 or so. I think that if the yuan could have a shot at appreciation it would be after the USD blowout top. There are no "gurus" who can see the future. Martin Armstrong included. But there are and always have been those who pretend to, and even claim to be seers, in order to deceive and steal others money. They keep popping up, over and over again, they get exposed, they dissappear for a while to let things settle down, but they "keep on trying", and sadly its human nature for some to want to follow them, to desperately want to believe, for their own benefit. Usually the predators take advantage of this greed in their victims, hence the victims don't want to admit to themselves their suspicions they are being taken for a ride, until its too late. See Bernie Madoff. Snake oil salesmen loud self-promoter types, who often rely on multiple false identities to try and build a story. Do your own due diligence, and be aware especially of those tooting their own horn, claimimg infallibility and the claimed gift to be able to see the future, speaking in the Third Person, naming things after themselves. They have clearly defined personality disorders. Reality is often uglier than we imagine in these cases. They keep popping up, over and over again, they get exposed, they dissappear for a while to let things settle down, but they keep on trying, and sadly its human nature for some to want to follow them, to desperately want to believe, for their own benefit. Usually the predators take advantage of this greed in their victims, hence the victims don't want to admit to themselves their suspicions they are being taken for a ride, until its too late. See Bernie Madoff. Amen to that!! I agree 1000%. No one knows the future. NO ONE. All these people are just SWAGING it, period. Cycles, and leaves, and stars...just more of a 'fancy' way for them to think they can predict the future...and to get others to believe them...but at the end of the day, NO ONE KNOWS. Period! Hippanda, I have learnt a great deaal from you but in trhis case you are wrong. There have been some analysts I follow whose predictions made me a ton. -Dec 31, 2014 he predicted oil, the Euro and copper would drop in the new year. Using options, on just the successful Euro call alone, I made over 50x my money. I haven't lost with Armstrong. If you knew the history, you would know that the US government wanted the source code for Martin Armstrong's computer that predicted these events so successfully. He refused. So he was imprisoned without charges for 12 years. He was even bunked with a serial killer at one point, who attacked and almost killed him. Armstrong was in a coma for three days. There has been a documentary made about him. Its being considered for Cannes. I watched the documentary and came away even more confident about following his predictions. So far they have all realized. My take on this is if you can find a good forecaster, you follow them. Life is cyclical and somehow Armstrong's computer, Socrates (which I saw a demo of earlier this year) is able to make predicts with accuracy. He uses the number Pi. Maybe thats why its called the circle of life? People also say "history repeats". Well, Armstrong just figured out the cycles. Its not like this hasnt been done before. Kondratieff discovered the business cycle and met a similar fate-the Russian government didn't like hearing about these cycles (governments seem to need to be able to claim to the unwashed that the government's omnipotence includes being able to repeal the business cycle. Of course thats impossible. It would be like repealing human nature. I know the future. Tomorrow the sun will rise. All kidding aside, the cycles fo the sun and moon aren't the only cycles on this planet. You can watch a cicada burrow into the ground and know it emerges 17 years later. But don't tell the cicada it can't predict the future. Ditto for salmon and many other creatures. If you think you can't foresee the shape of the future you aren't trying hard enough. And somebody who wants to hear the story. And who often seek out and often follow storeytellers. Enjoy the story if you like it. There are other storeytellers out there too. Ignore their mistakes and inconsistencies, and you'll continue to be happy. Cheers! Storytelling? ? I thought you were smarter than that. I guess the governments, central banks and institutions that have parked over $2 trillion with Martin Armstrong do it for the storytelling. Sorry but you are the storyteller. I came here to discuss successful market forecasting. Obviously you don't know the difference between a storyteller and a good analyst. In August and September 2011 on this forum I had a similar interaction with Konajim who along with others here berated me for shorting gold at $1900. I made enough money to buy some very nice MCC. Everyone else not so much. They mistook robust technical analysis for storytelling. Today you showed your ignorance. You don't have any inclination to study the difference between a good and bad analyst. You don't add anything to the discussion. So don't. Do you want to keep feeling good about your direction following this Martin Armstrong? Or would you rather have the truth? Or just call others ignorant to feel better? My response is not for you much as it is for others who may read and are curious. Bernie Madoff's early investors thought he was a saint, who made them lots of money! What a visionary ! If, after a while, it begins to sit uncomfortable with you, and you want real answers on the other hand, they are out there. Do your due diligence. Reports on this Martin's Armstrong's inaccuracies and mistakes are out there. PM me if you want the rundown. Some things you wrote are truly just inaccurate. No Board member of GOldman Sachs was the judge in his trial. Cohen was not the judge. Look it up. Even on Martins own website . You are following "His Story" and additionally throwing out sloppy inaccuracies yourself to try and have it jive, and sadly it doesn't. Sorry to have to let you know. Stories are fun until reality hits. Once personal attacks begin I believe we have entered the realm of violating the spirit and rules of the forum? What about those beautiful Panda Goats. Looks like they've been cleaned up on eBay. Next up, the monkey. Can't wait. lol. we digressed pretty quick into the abyss, where folks are calling each other moron and idiots. wowza. But look at these bad boys. I know, I know, not everyone likes them. I happen to love them. But in this great world of medals, there is no one size fits all; hence why there are a gazillion to choose from. However, I happen to believe this series is a winner. Time will ultimately tell. The topic is 2015 Panda lunar Goat. Lets stick with it, guys. Bad Boy! You should have stopped at "nice panda"!!!!! Wow, great photos Barsenault! I have my one (and only) Panda/Goat on my desk here, love the "tourist panda" at the Great Wall. Goat side is nice as well, just a little bit busy perhaps. Can I look forward to seeing the panda travel to other famous tourist sites in the coming years? As always … excellent advice from one of the true masters of this forum !!! Those who believe in “gurus”, “soothsayers” & fellas like Martin Armstrong just as well subscribe to witchcraft. A fool and their money soon part ! Also beautiful coin that you posted barsenault … man I LOVE your videos, coins and the passion you have for this hobby … keep it up brah !!! Laissez les bons temps rouler. Nice of you to stop in Comeaux. I hope all is going well for you. Thanks a ton Birdman ! All is going well on my end and the family is doing awesome … I just took two weeks of vacation for a trip to Florida with the family for some R & R. Hope all is going great for you as well my friend ! nice to see you around Comeaux !! be well! hello Comeaux...thanks the encouraging words. It was...and still is, on this forum where I learned the value of the Chinese coin market. Folks like you (I've seen a lot of your treasures), Frank Wang, JC, Hippanda, and many, many others taught me much...and continue to do so. When I see some of the goods you guys/gals post pictures of, I'm like wowza, I want that thing. :-)) It inspired me to my small part. all the best. I've seen the early renderings of the Panda Monkey. It looks great. I think it is as good, if not better than the Goat medal. In my humble opinion. Yes, I'm selling them, but you decide for yourself when you see it. Hope everyone is enjoying their summer. great medal!! thank you for sharing! Hello everyone, here is an update on the GOLD LUNAR PANDA (GOAT). The initial planned mintage of gold panda gold was 30. However, my partner Andy has had discussion with all parties involved, and the planned mintage has become 19 instead of 30. The Mint will produce 9 pieces, which were privately sold to us. There will also be an additional 1 to 4 pieces on top of 9, that will be minted for Mint to have for safe keeping and VIP's in the future. Hope this information is helpful. 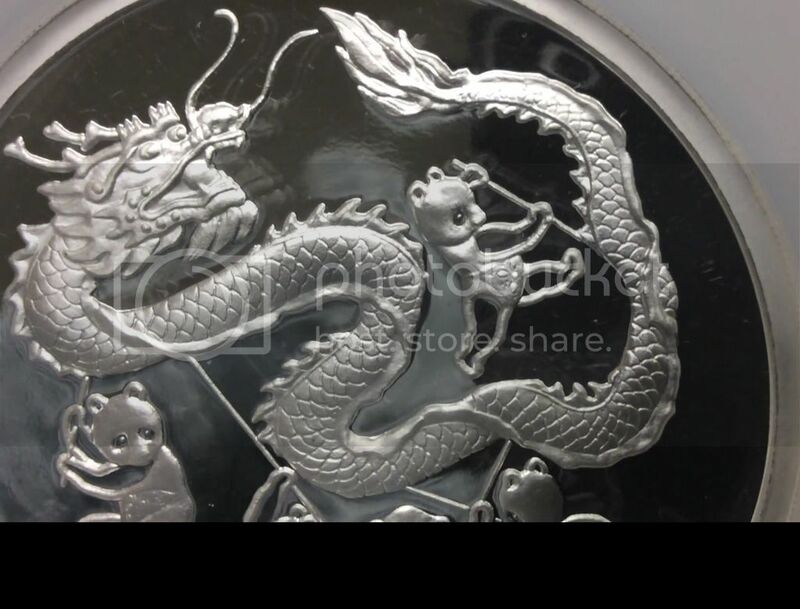 Please email us or PM us, or go on our website, www.chinesemedals.com. When the Panda Monkey comes out, it will obviously be less expensive to order from our website vs. eBay. Be on the look out. Re: 2015 Panda Lunar Goat not fair! why did you change the mintage size? price will be sky high! not fair! show pic and price,please,who are you! hmmm. Not sure what you mean getagrip? The mintage size for the Monkey will increase a bit, because of the demand for this series. Increase supply, means cheaper prices, yes? The PLANNED mintage is 499. However, please keep in mind that the planned mintage is 499, but the ACTUAL mintage, the physical being minted is 400. 300 for sale, and 100 kept by the mint. The other 99 may or may not be minted. The Antique Silver will remain at 99, and the Gold, I believe will remain at 19.
Who am I? I'm barsenault, who happens to love to collect Chinese medals and coins, and am intimately involved with the Lunar Panda Series. And who are you? lol. Oh, and sorry, can't show pictures of the monkey and panda. I'm under confidentiality. 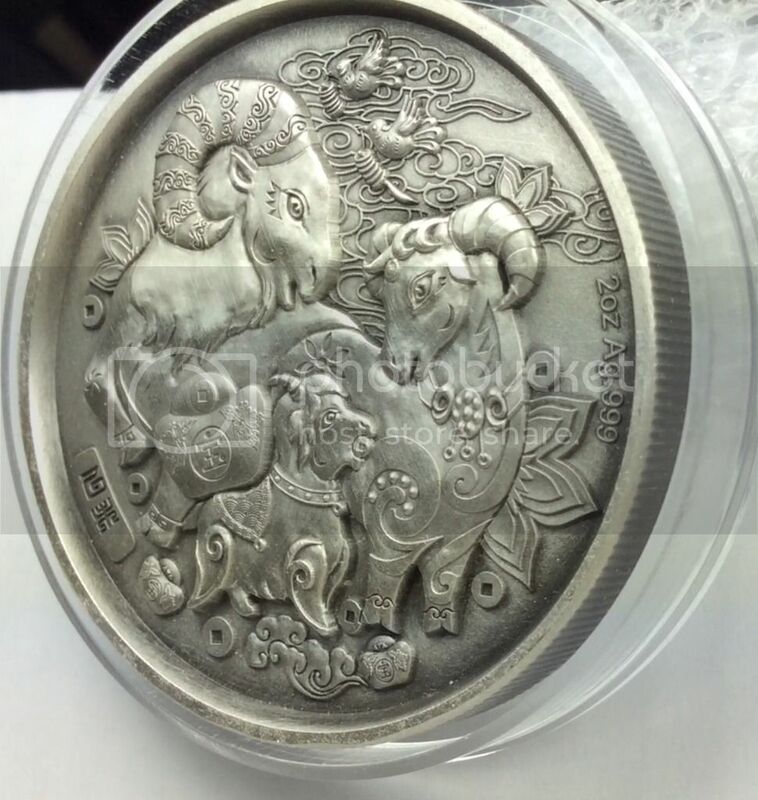 sorry, i was talking about the gold goat/panda coin,reduction in mintage (30 to 19),the price will go up, nice! :crying:for me. lol you must be a huge Chinese dealer with all this control of thepanda lunar series. Ah, yes. Sorry about the misunderstanding. I think the reason they went lower was due to uncertainty of the popularity. Not 100%. Perhaps Andy can shed some additional insight into the reduction of mintage. Also, I think that was just our 'best stab' at what we thought the mintage was going to be...but ultimately it is decided much higher up the food chain. I'm just a 'little guy' helping to serve the U.S. market. This just happens to be one series that I fell in loved with, and the stars lined up, and an opportunity opened up, for me to work with Andy. It has been fun. I'm not so sure that the price tag would have been any lower if in fact 30 pieces were minted. You are right about the price tag though. It is a lot higher than we thought, but I think most are already accounted for. 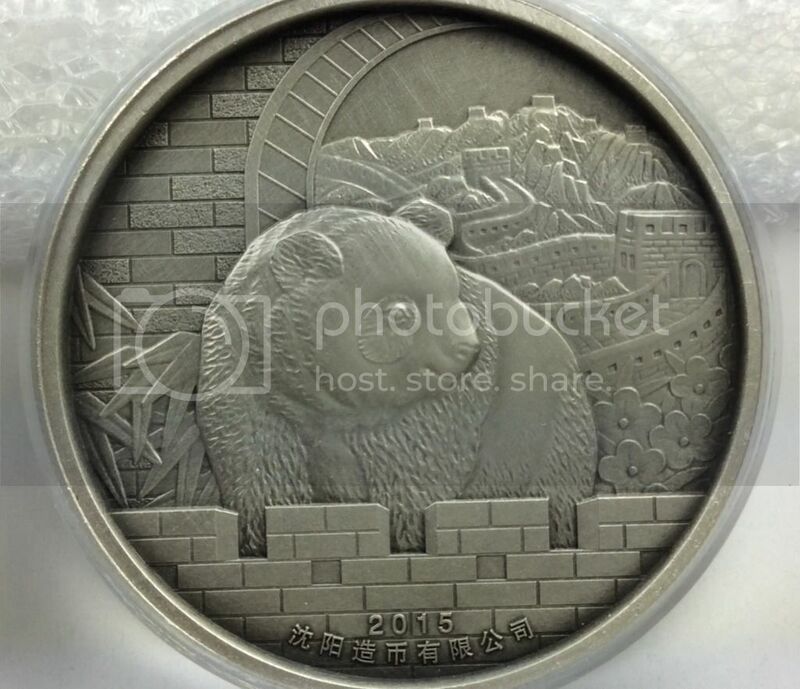 There may be 2'ish pieces left out of the 9 that were minted for sale. Again, apologize for the misunderstanding. Have a great day. 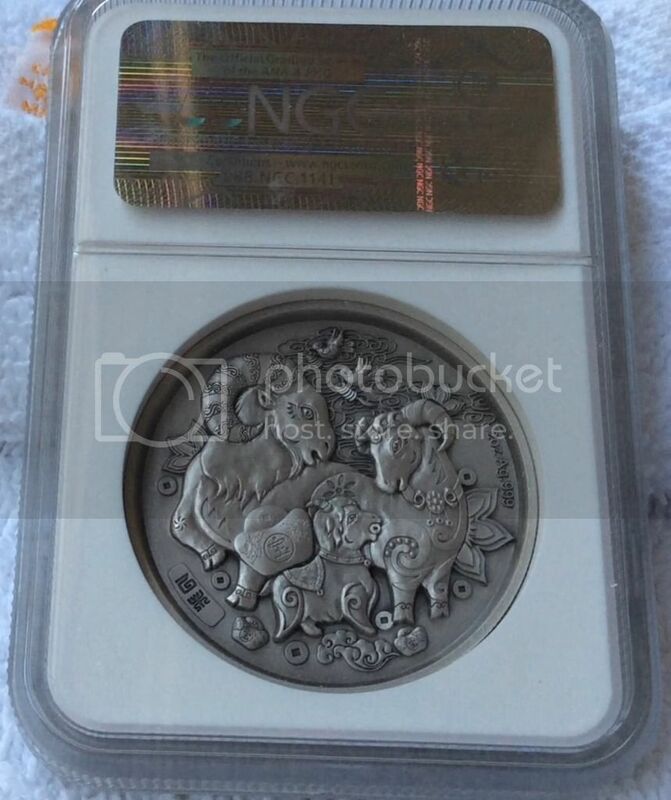 tx ,for info.you have any pics of the gold goat/panda coin?